The longest-running and largest annual experience design event in Canada takes place November 1-4 in Gatineau. The event will cover topics like user research, usability, information architecture, interaction design, service design, and everything related to the creation of compelling products, services, and experiences. 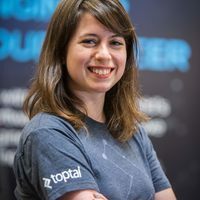 Toptal is proud to have a Toptal designer speaking at this event. Nov 3rd at 11:40am, David Nuff will present a talk titled The Discomfort Zone: From Interfaces to Installations. Daniel will share how physical installation projects have made him a better digital designer, how design skills make for great art, and how to open yourself up to the magic that lies outside your comfort zone. He will end the session by looking at potential futures for a design practice beyond the screen, in which designers move seamlessly between physical and digital.